Service retirement is a lifetime benefit. You can retire as early as age 50 with five years of service credit unless all service was earned on or after January 1, 2013. Then you must be at least age 52 to retire. There are some exceptions to the 5-year requirement. If you are employed on a part-time basis and have worked at least five years, or you are also a member of a reciprocal retirement system, contact us to find out if an exception applies to you. Use our Retirement Planning Checklist to help prepare for retirement and find the documents needed to submit a complete application package. 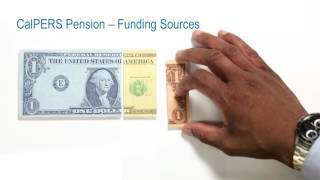 You can also watch Retirement Income Sources (video) to learn about potential retirement income sources, including your CalPERS pension, Social Security, personal savings, defined contribution plan, supplemental contribution plan, CalPERS Long-Term Care, and estate planning. You may file your service retirement application within 120 days of your planned retirement date. Service credit (Years) multiplied by your benefit factor (percentage per year) multiplied by your final monthly compensation equals your unmodified allowance. Service Credit - Total years of employment with a CalPERS employer. This could include other types of service credit such as sick leave and service credit purchase. You can view your Annual Member Statement or log in to my|CalPERS to see how much service credit you have. Benefit Factor - Also known as "age factor", is the percentage of final compensation for each year of service credit, based on your age at retirement and retirement formula(s). Final Compensation - Your highest average annual compensation during any consecutive 12 or 36 month period of employment, depending on your collective bargaining agreement or employer contract. This may include special compensation (if you pay into Social Security, you'll need to deduct $133.33 from your final compensation). An increase in one or more of these factors can mean a higher pension at retirement. To see your benefit factor for each quarter year of age, use your retirement benefit formula chart by choosing your membership benefit publication below. If you're not sure of your benefit formula, check with your personnel office. If you're not sure what formula you're in, log in to my|CalPERS to view your latest Annual Member Statement. You can also check with your personnel office. Log in to my|CalPERS to estimate your retirement benefits using the latest data reported by your employer. Use our online calculator by inputting information from your Annual Member Statement (no log in is required). The Retirement Estimate Calculator is intended to provide only an estimate of your future retirement benefits. Your actual retirement benefit will be determined when you formally apply for retirement based on the California Public Employees' Retirement Law and federal tax law. Make an appointment with us to learn more. You can apply for service retirement online, in person, or by mail. To file electronically, log in to my|CalPERS. Go to the Retirement tab, select Apply for Retirement, and follow the steps for submitting your application and required documents online to CalPERS. Easily and securely submit your application at your convenience, 24 hours a day. Leave the online application and return at any point to complete it. Prior to submission, review and edit your information. Receive confirmation that your application has been successfully submitted. Submit additional required documents online. Use the Electronic Signature to eliminate the notary requirement for the member signature. The 2017 retirement application is no longer available. If you are retiring prior to January 1, 2018, you can call us toll free at 888 CalPERS (or 888-225-7377) or visit a Regional Office to obtain a 2017 retirement application. For step-by-step instructions on filling out a paper service retirement application, review the Service Retirement Election Application (PUB 43) (PDF) or take the instructor-led or online Member Education class, Completing Your Retirement Application. If you need additional assistance, you may make a one-on-one appointment at a Regional Office. Submit your completed retirement application and required documents in person at a Regional Office or by mail to the address listed on the form. Be sure to keep a copy of all the documents submitted for your own record. If you have questions regarding your retirement application, call us at 888 CalPERS (or 888-225-7377). We'll send you an acknowledgment letter after we receive your retirement application. We may also contact you if we have questions or need additional information. Approximately two weeks before your first retirement warrant, we’ll mail you a First Payment Acknowledgment Letter that provides important information about your service retirement, including the date and amount of your first retirement check. If you were awarded a portion of your former spouse/domestic partner's CalPERS pension, and the community property court order provided you your own separate CalPERS account with service credit and contributions, you're called a "nonmember." You may collect a monthly retirement benefit, or you may request to refund or roll over your contributions and interest at any time, if eligible (e.g., if you have Second Tier service only and you don't have contributions on your account). A nonmember retirement is a lifetime benefit. The Nonmember Service Retirement Election Application (PDF) is the main form you will need to submit to apply for retirement. However, based on your particular situation, there are some additional forms you may need to complete. On the date of application, the member attained minimum retirement age to receive a service retirement allowance. You have attained the minimum age prescribed by the applicable service retirement formula of the member. Your former spouse or domestic partner must have been vested for service retirement as of your dissolution date. For more information, refer to the Nonmember Service Retirement Election Application (PUB 44) (PDF) or Nonmember Information below. Partial service retirement allows you to reduce your work time, continue working, and receive a partial service retirement allowance. University of California and California State University employees are not eligible for partial service retirement. You have the minimum years of service credit based on your membership category. For most members, the minimum is five years of CalPERS service credit. You reached the normal retirement age for your retirement benefit formula. The normal retirement age is the age you can retire without a reduction for retiring early. You work full time as a state miscellaneous, state industrial, or public agency member (if the employer contracts for this benefit). You may reduce your work schedule by at least 20 percent, but not more than 60 percent. Your allowance is based on the reduction of your work time. For example, if you reduce your work time by 30 percent, your allowance would be 30 percent of what you would receive if you took a full service retirement and elected the unmodified allowance. Your employer must approve your request to reduce your work time for partial retirement. You may decrease your already reduced work time once each fiscal year. You may increase your work time only once every five years. With your employer's approval, you may end your partial service retirement at any time and return to full-time employment. Once you withdraw, you cannot reapply for five years. To see if partial service retirement will work for you, read Partial Service Retirement (PUB 14) (PDF). Before you apply, you must first receive approval from your employer. Complete the Partial Service Retirement Application available from your personnel office and the California Department of Human Resources (CalHR). Submit your completed application to CalPERS at least 60 days before the effective date of your partial retirement. The effective date must be the same date of your work-time reduction and can be the first day of any pay period. If you have a disabling injury or illness that prevents you from performing your usual job duties with your current employer, you may be eligible for disability or industrial disability retirement. If your disability or industrial disability retirement is approved, you'll receive a monthly retirement payment for the rest of your life or until you recover from your injury or illness. Generally, you must have at least five years of service credit to be eligible. Second Tier members must have 10 years. Some exceptions apply to the service requirement. Contact us to see if you qualify. If you're a patrol member in Bargaining Unit 5 of the Department of California Highway Patrol, you may be eligible for an enhanced industrial disability retirement benefit. You must have sustained a serious bodily injury as the result of a single event and must be unable to participate in substantial gainful employment. You, or someone on your behalf (such as your employer or Power of Attorney), can apply for disability and industrial disability retirement. You don't need to wait until your condition is "permanent and stationary" under Workers' Compensation to apply. To apply, read Disability Retirement Election Application (PUB 35) (PDF). The publication includes the forms needed to submit a complete application package, as well as the Retirement Allowance Estimate Request (PDF). We recommend you request an estimate prior to applying for disability or industrial disability retirement. You can also take the online Member Education class, Completing Your Disability Retirement Application, which will teach you how to complete the Disability Retirement Application forms and submit a complete application package. After we receive your application, we'll send you an acknowledgment letter letting you know we have received it. When we receive all of the required documentation and forms, we will begin the process of reviewing your file to see whether the information is current and complete, and if a determination can be made. If not, we may need to request additional information or an independent medical examination. Generally, we can review a disability or industrial disability retirement application within three months after we receive all the required information. However, if we need additional information, the determination process can take longer. If your application is approved, you will be retired and begin receiving a monthly benefit payment from CalPERS usually within four to six weeks. CalPERS can expedite retirement processing for those who are facing a terminal illness. If this is your case, contact us or your employer immediately to discuss an emergency retirement. The Alternate Retirement Program (ARP) is administered by the California Department of Human Resources (CalHR) and is for new, first-time state miscellaneous and industrial employees hired between August 11, 2004, and June 30, 2013. There are several important milestones in the first four years of state miscellaneous industrial employment that will transition you into full CalPERS membership. You don't receive CalPERS retirement service credit. Your retirement contributions go into your ARP account managed by CalHR. Your time worked counts toward retirement and health benefit vesting. You begin to earn CalPERS retirement service credit. You move from ARP into CalPERS First Tier membership. Your ARP funds remain at CalHR. Your retirement contributions begin to go to CalPERS. Transfer your ARP funds to CalPERS and receive retirement service credit for the actual amount of time you worked at no additional cost. More service credit increases your pension benefit allowances. Receive a lump sum distribution. No service credit is earned for your ARP period; however, your time worked will count toward your retirement and health vesting. No service credit is earned for your ARP period; however, your time worked will count toward your retirement and health vesting. If you select Option 2 or 3 during the ARP election period, or take no action, you can purchase your ARP time with CalPERS at a future date, as long as you meet the eligibility requirements. However, the cost to you will be substantially higher than the amount in your ARP account. If you wait to purchase your ARP time at a future date, the law requires you to pay the entire present value cost of the service credit, which includes member and employer contribution amounts and is based on your highest pay rate and other actuarial factors. Refer to our Alternate Retirement Program (PUB 10) (PDF). To view your Annual Member Statement, you'll need to log in to my|CalPERS. If you separate from CalPERS-covered employment, refund your ARP contributions, and return to CalPERS contracted employment; you can elect to purchase your ARP service. The cost for purchasing ARP service credit is calculated at present value. Present value cost includes member and employer contribution amounts and is based on your highest pay rate and other actuarial factors. As you transition into CalPERS, you'll be either a state miscellaneous or industrial First Tier retirement plan member, based on your job classification (contact your personnel office for more information). However, after your 24th month of employment, you should receive notice from your personnel office that you're eligible to move to the state miscellaneous or industrial Second Tier plan. You'll have 180 days to make this election. Effective July 1, 2013, Second Tier members started paying 1.5 percent of earnings in monthly member contributions. This contribution rate will be adjusted annually. Since members in the Second Tier plan make minimal contributions, this plan offers a reduced level of benefits at retirement. Be sure to carefully review the information you're provided before making your decision. If you're currently a member of the CalPERS Health Program, you must meet specific requirements to continue your health insurance coverage into retirement, or maintain the right to re-enroll in the future after retirement. If you don't meet both requirements before you retire, you'll lose all future rights to be in the CalPERS Health Program. If your family members are included in your CalPERS health plan at the time of your death, their enrollment will continue automatically if they're eligible for and receive a monthly allowance. If your employer doesn't contract with CalPERS for health benefits, contact your employer to determine if your benefits will continue. If you're enrolled in CalPERS Long-Term Care and have premiums deducted from your paycheck, you'll need to call (800) 982-1775 before you retire to find out how to continue your premium deductions. Many types of payments can be deducted from your monthly retirement check, such as car payments, retiree association fees, charitable contributions, savings account deposits, etc. To initiate or add these deductions after you retire, contact the provider and complete their direct authorization deduction request. The request then needs to be forwarded to CalPERS. A "Golden Handshake" is an early retirement incentive that can be offered by your employer. In order to offer a Golden Handshake, there must be an impending layoff and your employer can demonstrate that enough savings can be realized to pay for the Golden Handshake benefits. Your employer must contract with CalPERS and pay the cost for this early retirement incentive. Current law allows for a Golden Handshake to provide an additional two years of service credit. To be eligible, you must retire within the establish time period (usually between 60 to 120 days). If you retire under a Golden Handshake and then receive unemployment benefits or reinstate from retirement, you will lose this benefit. Under current law, there are several different provisions the state can use to offer a Golden Handshake, depending on the branch of government. Judicial - The Chief Justice must announce an offering of the benefit to judicial support staff. Legislature - Each house of the Legislature must make a resolution to provide this benefit to legislative support staff. State agencies, including California State University - The Governor must sign an Executive Order to provide this benefit to state employees. If you were awarded a portion of your former spouse/domestic partner's CalPERS pension, and the community property court order provided you your own separate CalPERS account with service credit and contributions, you're called a "nonmember." You may collect a monthly retirement benefit, or you may request to refund or roll over your contributions and interest at any time, if eligible (e.g., if you have Second Tier service only you may not have contributions on your account). If the community property court order provides for a future benefit, you will begin receiving a monthly allowance once your former spouse/domestic partner retires. You are called a "community property payee." Refer to your filed community property court order, or the letter CalPERS mailed to you after the community property resolution, to determine what type of community property interest you were awarded. You can also contact us directly. Create an online my|CalPERS account. Make an appointment at a Regional Office (identify yourself as a nonmember). Register for online and/or instructor-led retirement courses and webinars through our Education Center. Request two CalPERS-generated estimates of your non-member retirement allowance within a 12-month period (must be within one year of the requested retirement date). Review the Nonmember Retirement Allowance Estimate Request (PDF) or contact us to have the form mailed to you. In limited circumstances, purchase more service credit than what was awarded in the community property court order (e.g., your ex-spouse took a refund of service and contributions during the marriage period, or your ex-spouse elected to convert from the second tier formula to the first tier formula). Contact us for more information. Can't apply for retirement online and need to submit a hardcopy Nonmember Service Retirement Election Application (PUB 44) (PDF). If you were awarded your own CalPERS nonmember account, you're eligible to retire as soon as both you and your former spouse/domestic partner reach minimum retirement age. Your former spouse/domestic partner must have been vested for service retirement as of your dissolution date. If your former spouse/domestic partner passes away before meeting minimum service retirement age, you'll become ineligible to receive a monthly retirement benefit. You may refund or roll over the contributions and interest, if any, awarded to you at any time, or you may have an opportunity to amend the original court order. Contact us for more information. If you're eligible to retire, review Completing Your Nonmember Service Retirement Election Application (PUB 44) (PDF) to get started. The minimum retirement age is 50, 52, or 55 years depending on the retirement formula associated to the service credit on your account. Your monthly benefit may or may not increase if you wait to retire. Your benefit is calculated using the retirement formula associated to the service you were awarded and is specific to your former spouse's/domestic partner's membership classification. You can find your retirement formula and membership classification by logging in to my|CalPERS. You can also contact us and we can provide the information to you. Retirement formula examples include 3% @ 50 (State Safety Benefits) and 2% @ 55 (Local Miscellaneous Benefits). Review the member forms and publications specific to your classification to help you understand how your retirement benefit is calculated. If you have a nonmember account and are also a CalPERS member, but are not ready to retire from your job, you can retire on your nonmember account only. If you are minimum service retirement age and your former spouse/domestic partner meets both the minimum age and minimum service retirement eligibility requirements, you can apply for retirement on your nonmember account and begin collecting a monthly retirement benefit. If you submit your application more than nine months after your requested retirement date, the law says your retirement date will be the first day of the month in which CalPERS receives your application. The effective date of your retirement is the date you designate on the application, or the day following the court-filed date of the Stipulated Domestic Relations Order, whichever is later. If you worked for a federal, state, or local government where you did not pay Social Security taxes, the pension you receive from that agency could reduce your Social Security benefits. Visit the Social Security & Your CalPERS Pension page to see the relationship between the two benefits. The Government Pension Offset (GPO) applies only if you receive a government pension and are eligible for Social Security benefits as a spouse or widow. The Windfall Elimination Provision (WEP) affects how your retirement or disability benefits are figured if you receive a pension from work not covered by Social Security. Through the CalPERS Special Power of Attorney, you can appoint a representative(s) to make retirement-related decisions on your behalf, should you become incapacitated. The CalPERS special power of attorney grants authority specifically for CalPERS retirement issues. For this reason, we recommend filing a Special Power of Attorney form (PDF), regardless of whether you already have a power of attorney set up through another resource. Unless you submit an election for tax withholding, CalPERS is required to withhold taxes from your monthly allowance based on the tax tables for a married person with three allowances. If you choose one of the tax tables, taxes will not be withheld unless your gross allowance exceeds the minimum amount listed on the tax table for your filing status (e.g., single, married, number of dependents, etc.). You may change your tax withholding election at any time by submitting a Tax Withholding Election (PDF) form. For more information regarding tax considerations, refer to the Service Retirement Election Application (PUB 43) (PDF). After you retire, you'll begin to receive an annual 1099R form. The temporary annuity is an optional benefit you can choose that provides additional monthly income to temporarily enhance your pension from CalPERS. Membership date as of January 1, 2002, or later – The benefit is payable from your retirement date to a specific age that you select – whole age from 62 to 70. You must have CalPERS service coordinated with Social Security to be eligible for this benefit. The amount of temporary annuity you request cannot exceed your estimated Social Security benefit. Contact the Social Security Administration before applying for a CalPERS service retirement. Membership date prior to January 1, 2002 – The benefit is payable from your retirement date to a specific age that you select – age 59 ½ or any whole age from 60 to 68. You can also specify the dollar amount you want to receive, within certain limitations. The amount of temporary annuity is not dependent on the amount of your estimated Social Security benefit. This benefit is not free. The temporary annuity benefit is funded by a lifetime reduction to your retirement allowance. What is the status of my retirement application? The status of your service retirement application can only be determined by a phone call or visit to CalPERS. If you're requesting disability retirement, you can view your status online. Contact us at 888 CalPERS (or 888-225-7377) for more information. What is the time frame to make changes to my retirement application? You cannot cancel your retirement or change your retirement payment option, designated lifetime beneficiary, or requested retirement date more than 30 days after the issuance of your first retirement benefit check. Therefore, it is important you fully understand what each retirement option means. If you want to make a change, contact us at 888 CalPERS (or 888-225-7377). When are Annual Member Statements available? Your statement is available online each fall. Log in to my|CalPERS where you can download and print your most current and previous statements. If you would like to receive your statements by mail, you must change your statement delivery preference in my|CalPERS. When is the earliest I can retire? For most people, the earliest you can retire is age 50. If you became a member on or after January 1, 2013, you must be age 52. State Second Tier members cannot retire until at least age 55. If you're not sure which CalPERS formula you're under, check with your personnel office. When will I get my first retirement check? That depends on your retirement date and when your final documents are received and processed by CalPERS. In most cases, you'll receive your first check in the first part of the month after you have retired. For example, if your retirement date was September 4, your first check would be paid to you in the first week of October. Because each case is different, contact us to know exactly when your first check will be sent.